Our third interview is with Victorian based photographer, Gary Radler. I am a husband, father, grandfather and lover of photography. I work both as a clinical psychologist and photographer. 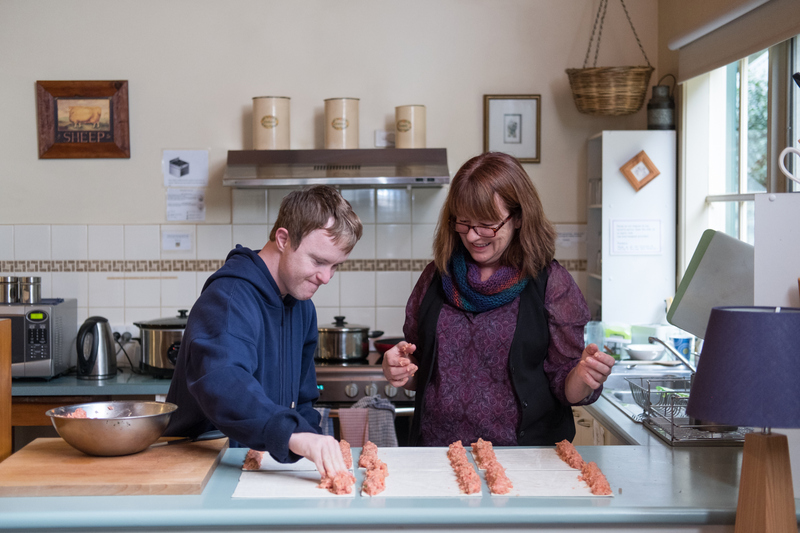 My work as a photographer grew from my work as a psychologist with people with a developmental disability. In this role I often provided talks, professional development workshops and other presentations. I supported these with slide presentations, but when searching for images to include from the available stock libraries I was disappointed to find that these mostly showed people with disabilities in stereotyped and patronising ways. Instead I wanted images of people with disabilities as citizens of our communities doing things that were valued and ordinary. I wanted photos showing them as contributing, active and engaged people in everyday and valued roles. Given the dearth of such images, I decided to make my own! Then, all of a sudden I fell in love with photography. I was well and truly hooked. Nothing was safe from my lens. Then, by pure serendipity, I started specialising in photographing Aboriginal Australians. 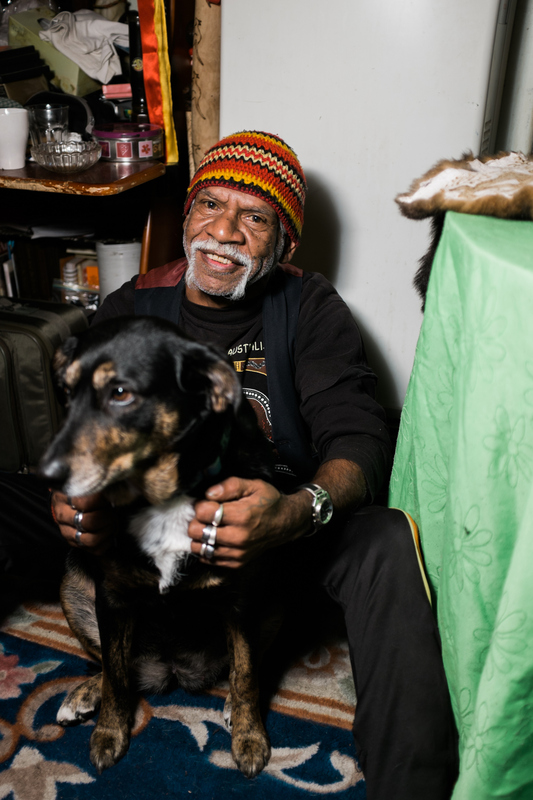 In 2008 on my way back to my car after a meeting, I bumped into a man who I now count as a friend, Dootrule, a Wurundjeri Elder, and asked if I could take his photo (I always had my X100 with me). (Here’s a link to a video I made of Dootrule and his partner, Tracey: http://www.garyradler.com/Video/Dootrule/). He said yes and from there I struck up many more relationships with Aboriginal Australians over the ensuing years, who became my models. I soon learned that the stock photos of Aboriginal Australians were also clichéd and failed to portray them as citizens of contemporary Australia and so I took it upon myself to fill this gap! You describe yourself as a photographer of “members of groups that have demonstrated resilience and survival.” Can you share two pictures you have captured using the Fujifilm X-T2 that best portray this and tell us the story behind the images? Matt deserves a medal. 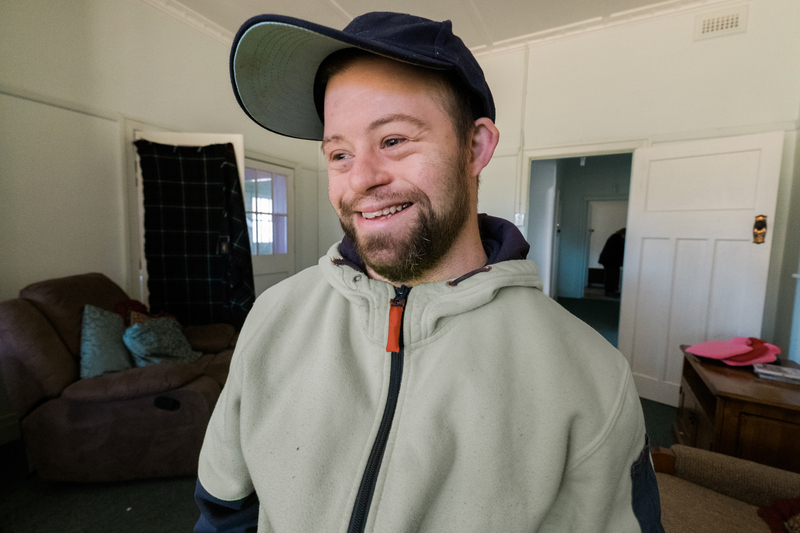 Matt works for a Disability Support Organisation and for a week in every month he transports, mentors and has a great time with people with a disability who work at various farms in North East Victoria. Matt is a quiet, gentle, respectful, hard-working dedicated young man. He is skilled at promoting the engagement of all of the participants he supports in his quiet, unobtrusive, and natural way, and it is a pleasure to witness. Jarod is one of the men that Matt supports. He is man whose appetite for work is unsurpassed. This photo shows Matt and Jarod relaxing in the Ovens River after a hot day’s work at a blueberry and garlic farm in Myrtleford. To me this work exemplifies how people with a disability can be truly afforded respect and dignity in their lives by giving them opportunities and support to live the ordinary lives other citizens, like me, take for granted. This next photo shows a woman, Lesley, who was rehearsing a contemporary dance performance. 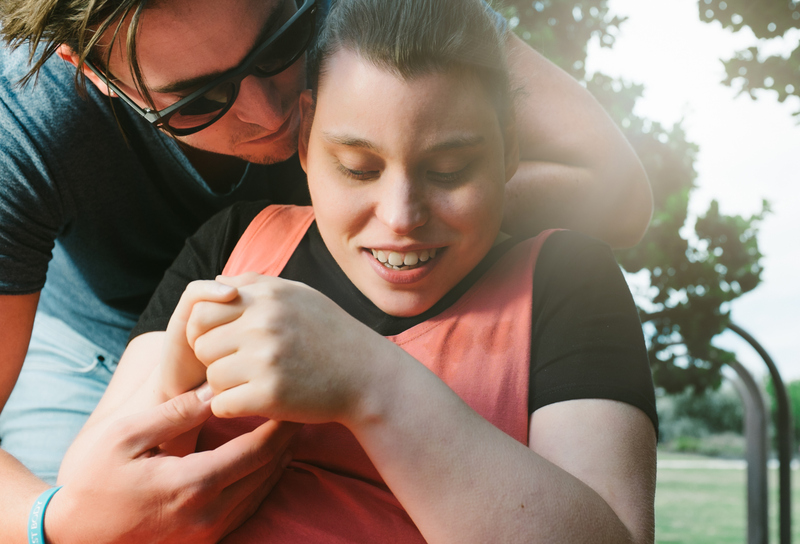 It was one of many I took of her and other people with a disability when I was commissioned by the State Government of Victoria as the photographer for their State Disability Plan 2017-2020 (you can download the plan here: https://www.dhhs.vic.gov.au/publications/state-disability-plan-2017-2020). Again, my approach was to spend time with each of the models as they went about living their lives. The unobtrusive X-T2 paired with the small and high class prime lenses were perfect for the job. Having used multiple Fujifilm X Series cameras over the years, including the original X100 how do you see the system has developed? Has it been going in the right direction or could there be more improvements? I remember just holding the X100 and enjoying the tactile experience. Weird, I know. As a piece of modern-retro design I thought it was exquisite, and a work of art in and of itself. Then it also made the making of art a simple, enjoyable experience. It was unobtrusive and suited my style of portrait photography perfectly. It’s fixed 23mm lens taught me to get to know what an image would look like at this focal length even before I put the viewfinder to my eye. That leaf shutter with the resulting 1/1000th second flash sync speed made shooting outdoor shallow-depth-of-field portraits a breeze. Since then I have owned the X100S (which I lost – much to my annoyance), the X100T, the X20, the X70, the X-T1, the X-PRO2 and the X-T2. I have since given away the X20, and sold the X-T1 and X-PRO2. The development of the X system has seen improvements I have appreciated, including the increase in resolution, the tilt screen (the absence of a tilt screen was my main reason for selling the X-PRO2), and the greater range of built in film styles. When you are out on assignment photographing people, do you have any tips on how to best approach and engage with individuals? Just talk. Have real conversations. Become so accustomed with the technical aspects of photography that you can forget the camera, relate to and interact naturally with the people in front of you, and just wait for the light to be just so and the moment to unfold. For me, the best photographs are all about the moment, the light, and composition. As I write this I am wondering if I’m coming across as someone who can do this. I can’t! But I am striving to. If we were to look in your photography bag, what Fujifilm cameras would we find? Can you tell us the reason why you chose the Fujifilm X-T2? It depends on what sort of photography I’m doing. This generally varies between my stock photography of people with a disability and Aboriginal Australians, landscape, street, family photography (I have a 3 year old grandson now and he is perhaps the most photographed child in the world! ), commissioned assignments, weddings, and travel photography. For my portraiture work you’ll generally find the Fujifilm X-T2, the XF23mmF2, XF16mmF1.4, and XF56mmF1.2. I use my old Nikon SB-900 flash (from my DSLR days), Cactus V6 HSS II flash transceivers, and a variety of portable light modifiers. Buying the Fujifilm X-T2 was not a hard choice for me to make. It has what I need; which is not to say there is not more I would like in a future model. Do you find living in the outskirts of Melbourne to be an advantage to your photography? Has it opened up any doors for you over city based photographers? The main advantage is that the beautiful Yarra Valley is virtually out my front door. I have taken to cycling with an electric bike, which has been such fun as it means I ride now instead of drive as it flattens out the very hilly terrain, and I always take my camera with me. The rural and agricultural landscape around here is stunning, and I have found that cycling has meant I am seeing and appreciating it like I have never before. Based on your experience, if you were to include a feature in a new Fujifilm camera what would it be and why? In-body image stabilisation. I never use a tripod for my work and being able to shoot at slower shutter speeds hand-held would be cool. What advice can you give for someone who wishes to make their start as a photographer and why did you choose Stocky to represent your work? My advice would be if it grabs you in such a way that you can hardly think about anything else, then go for it! There is a lot of technical stuff to learn, and it’s only when this is under your belt (if it ever is!) that the real learning about image making starts. This amount of learning can only happen by putting in the hours. And this only happens when you love it. So if you love it drown yourself in the flood of learning resources available on the web (I learned heaps from Kelby Training), listen to the image making podcasts (the best being The Candid Frame, LensWork, and PPN-Inspiration Show, The Art of Photography), but make the act of actually taking photos your main learning method. I chose Stocksy after being ripped off by iStock for a few years with the paltry commission they pay to their image creators! Stocksy was a breath of fresh air in so many ways, and not just because it pays its photographers a decent commission of 50%. It is a cooperative of its contributing artists, supported, represented and guided by it’s “head office” of talented, impassioned, cutting-edge and funky leaders. It encourages its photographers to be artists and doesn’t reject photos because of trivial “artefacts” (whatever the hell they are) because they were not shot at an ISO of 100! Introducing Stocksy Photographer Gary Radler posted on Fujifilm X Blog on February 20, 2018 10:01 pm .